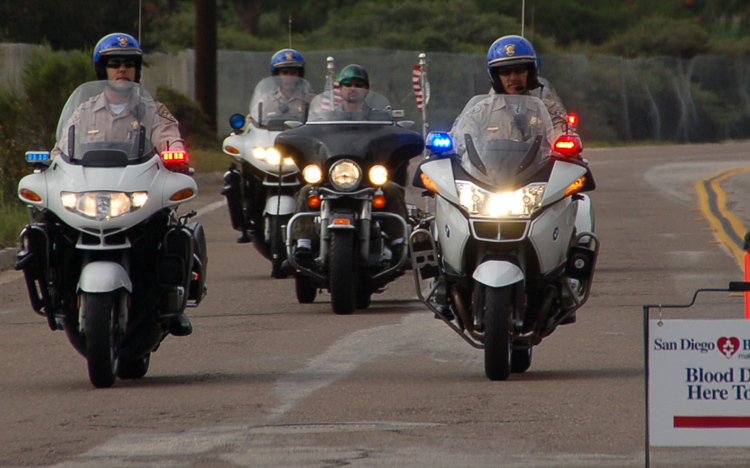 California Highway Patrol.... "Thank You"
Carrying Bandit's ashes to his "Memorial Table"
Introduces "The New Dog In Town"
San Diego, CA (2010) - The 2nd Annual "Bandit The Biker Dog Blood Drive" benefiting the San Diego Blood Bank was held Saturday, May 29th at San Diego Harley Davidson in Kearney Mesa. It also marked the official introduction of "Chopper" (AKA "The NEW Biker Dog In Town") who, at the tender age of 9 months, is already carrying on the legacy of Bandit. 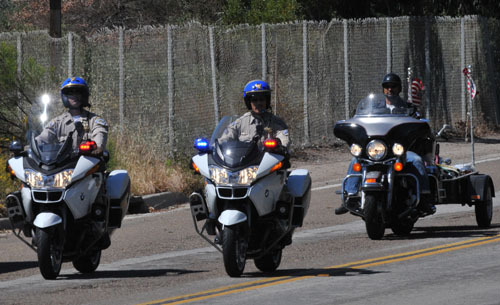 While the CHP escorted Mark carrying Bandit's ashes on the back seat of his Harley Davidson at the 1st annual blood drive, Chopper arrived at the 2nd annual event on the back of Mark Shaffer's Harley Davidson, again, escorted by CHP Motorcycle officers, lead by sergeant Bob Cobb. 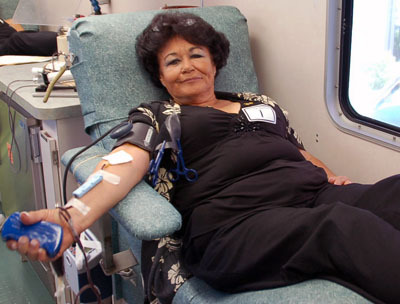 The event was a resounding success, taking in 123 pints of blood, just short of last years total of 154 pints. 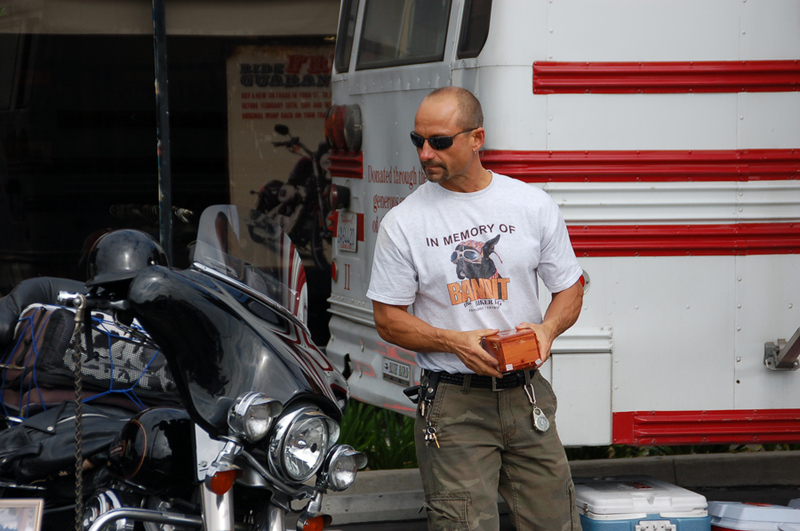 "I was thrilled by the turnout," said Shaffer, who was Bandit's owner and is now Chopper's owner and trainer. 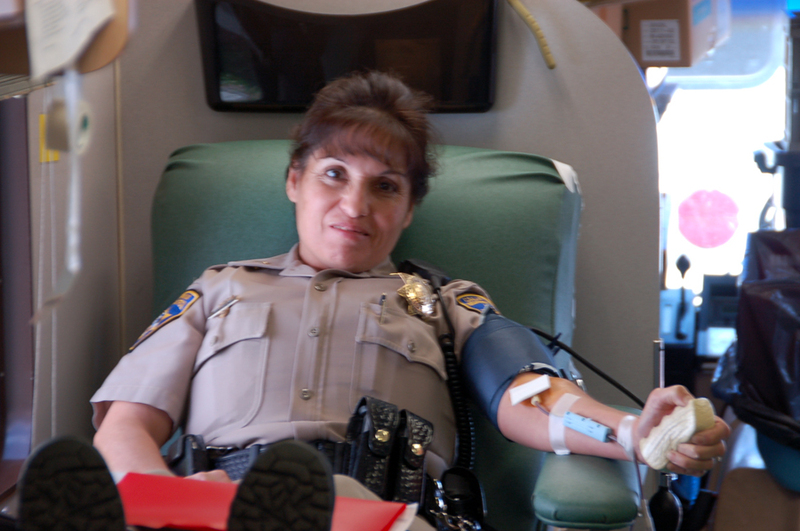 "I was worried that having it on Memorial Day week-end might be a problem, but the community turned out to help us support the San Diego Blood Bank and all the wonderful work they do." 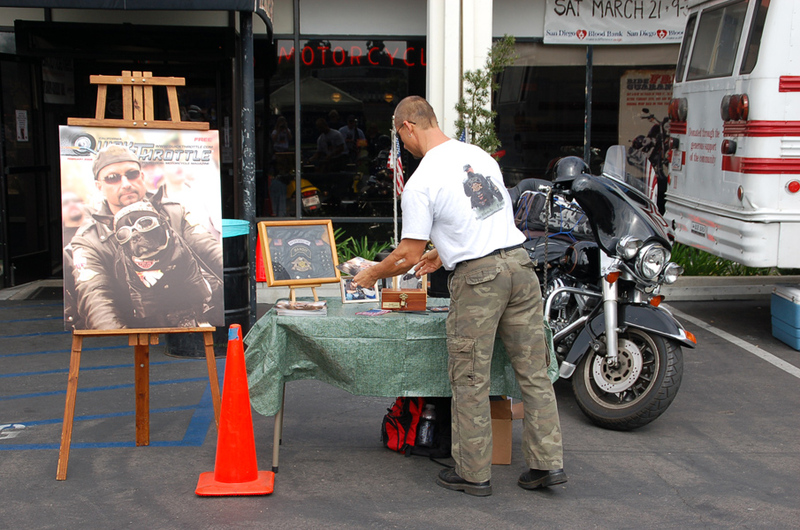 "Last year when we did the inaugural event, it was designed with Bandit's memory in mind. He had a huge heart and his whole life was all about making a positive contribution to people's lives. 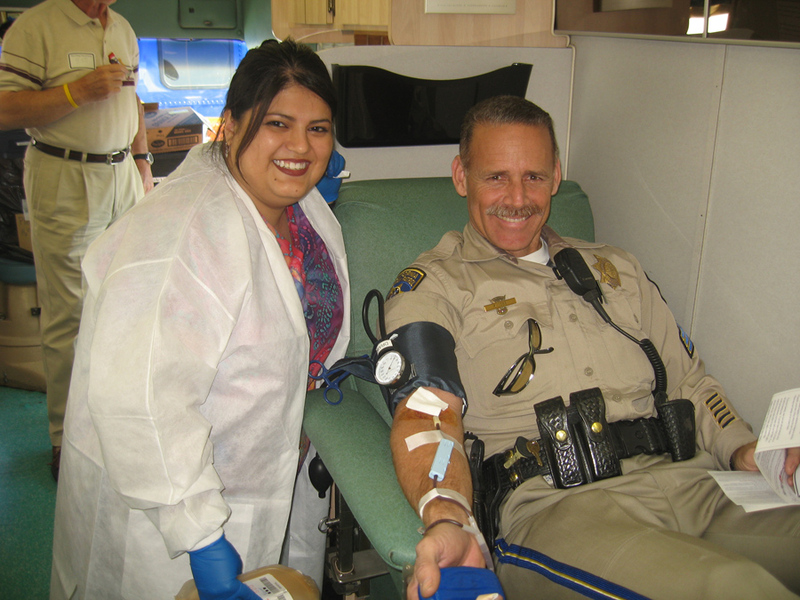 So when retired CHP officer Gregg Mullendore suggested doing a blood drive, I jumped at the chance, knowing Bandit would have loved the idea. But rather than make it a one-time event, I decided to make it an annual one and, hopefully build it each year. And that's why we're here again today." 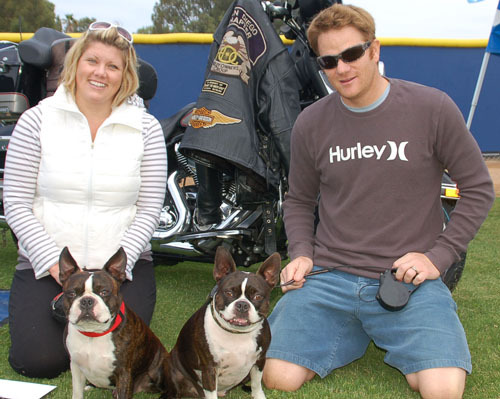 When asked about Chopper's emergence as "The new biker dog in town," Mark smiled and stated, "When we did the event last year, I had no plans to get another dog. But when the event was over and had been so successful, I started thinking about it. But Bandit's passing took such a lot out of me, I really needed time to sort it all out. By November, I was ready and the timing was right because I found Chopper. And although I can't prove it, I think Bandit had something to do with it, because there's a lot of his spirit in Chopper. At only 3 months of age, he was riding Bandit's little Harley and you could tell he was really into it. Chopper has taken to the role of Biker Dog so quickly and naturally that I think Bandit has to have had some involvement in it. It wasn't just me. And that's what makes this new little guy so special. He's carrying on Bandit's work already." 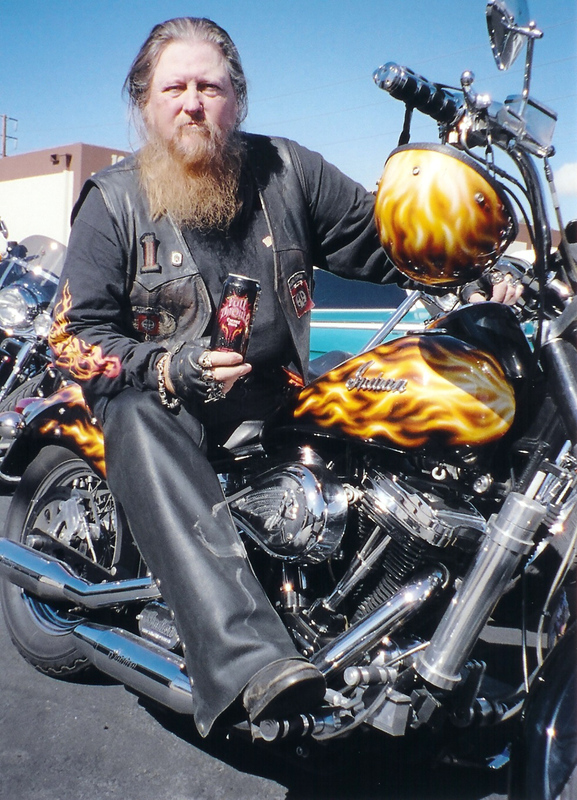 Those who came to the event were entertained by a number of guest celebrities including Actor/Musician Mickey Jones who worked with Bandit on several occasions. Jones, who has been in countless TV shows (including Home Improvement) and movies also was Bob Dylan's first drummer and was the drummer for Kenny Rogers and the First Edition. 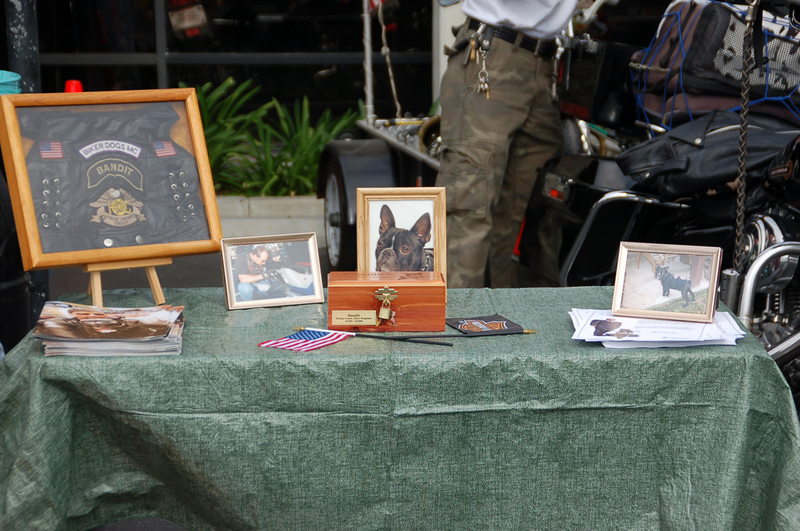 Jones said, "Bandit was a very special little guy and not only was it great working with him, I was also proud to be part of this event. I hope the fate allows me to work with Chopper some day as well." 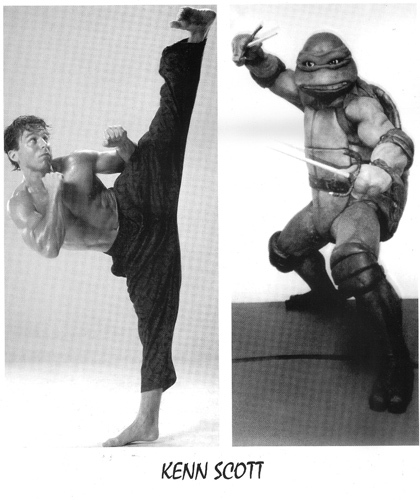 Other celebrities included the popular group "Rockola," Loreane Tomlinson (mother of football star, Ladanian Tomlinson) and Ken Scott (Raphael in "Teenage Mutant Ninja Turtles"). In addition to thanking them, Shaffer went on to thank those helped put this event on, including San Diego Harley Davidson, Jennifer Bradley and the folks from the San Diego Blood Bank, Hornblower Cruises, Helen Woodward Animal Center, Sombrero's Mexican Restaurant, Loews Coronado Bay Resort, UltraStar Cinemas, Pat & Oscars, Chipotle's Mexican Grill, San Diego's "Derby Dolls", Hooters Restaurant along with the "Hooter Girls", the California Highway Patrol, PETOPIA.TV, FOX 5 news, San Diego 6 news, KUSI news, Jagger and Kristie and Dave Mason. Added Shaffer: "As was the case last year, this event would not have been as successful as it was, or may not have even happened at all if not for the help of these folks." Mark went on to announce he's already planning next year's event in hopes to make it even bigger and better. 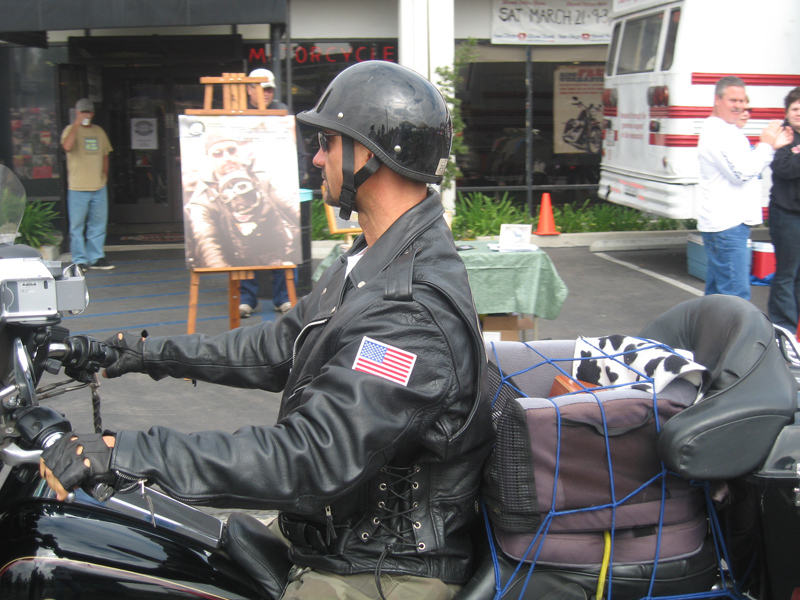 In the meantime, keep an eye on this web page for news about upcoming appearances by Mark and Chopper - "The New Biker Dog In Town." 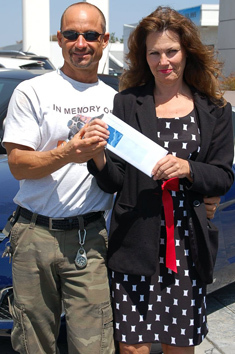 "Bandit the Biker Dog Memorial Blood Drive"
Coronado Bay Resort donated a gift package which included an overnight say at their resort with deluxe accommodations, Dinner for 2 a which the San Diego Blood Bank drew the lucky winners name.